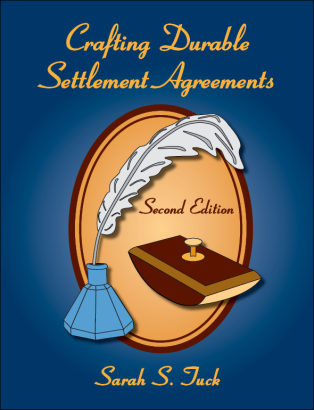 Updated, by popular demand, Crafting Durable Settlement Agreementsagency representatives, employee relations specialists, and EEO specialists through negotiating, drafting, and enforcing settlement agreements. Expert commentary and sample agreement provisions and terms teach the reader how to carefully draft an agreement that can withstand challenge. Analysis of relevant MSPB and EEO case law, regulations, OPM guidance, MD-110, and Federal Rules of Evidence is also provided. The 2012 edition contains significantly more guidance and samples concerning alternative discipline agreements, last chance agreements, and other example terms to help parties anticipate potential agreement problems and draft each settlement agreement accordingly. Updated case law, regulations and Judges� Handbook help parties sift though the controlling law. A detailed table of contents is also included. Also available as a .pdf file on a CD-ROM or as an ebook for instant download.